Walk around cabin/ v berth that can sleep 2 ( very snuggly). Hard top cabin is fully canvased ( new about 6 years ago). 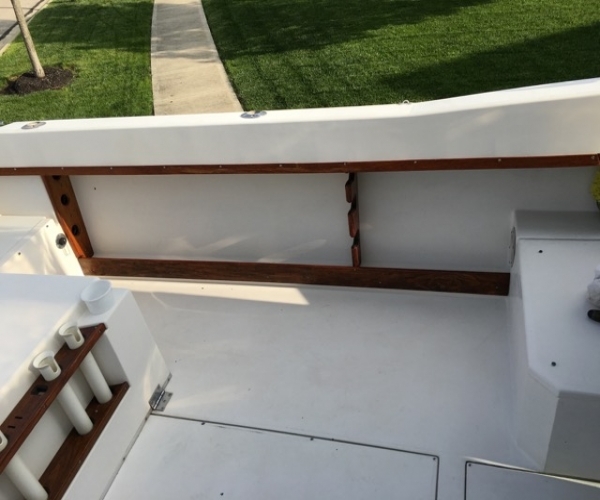 Rod storage high on both sides of cabin. Hummingbird 788ci Combo fish finder and Chart Plotter. "Bird's eye view" setting gives water depths within 1000 feet of the boat icon shown on the map of the lake. All lights ( interior, navigation, and trailer ) work well. Dual battery system with switch for off, battery1, battery 2, or both batteries. 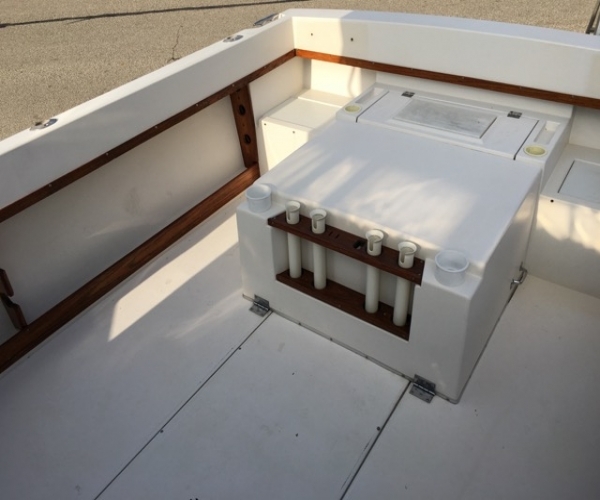 This allows you to keep one battery's full charge in reserve, if using battery power on-board. Live well and spray hose for wash down. Anchor and rope, tie up lines, two bumpers, emergency flares, fire extinguisher, 6 life jackets (stored under cushions in cabin) and, small potty in cabin. 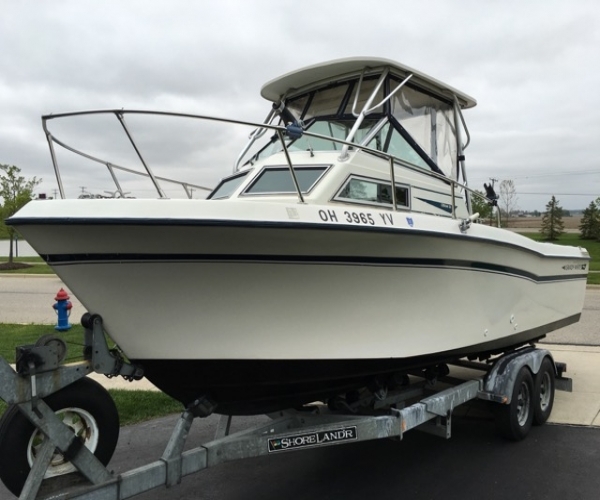 My father purchased the boat and trailer new in1987. 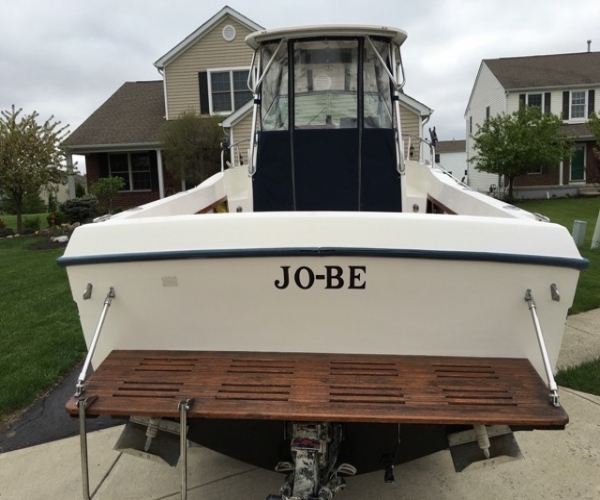 It has been a 95% Lake Erie boat for it's lifetime. 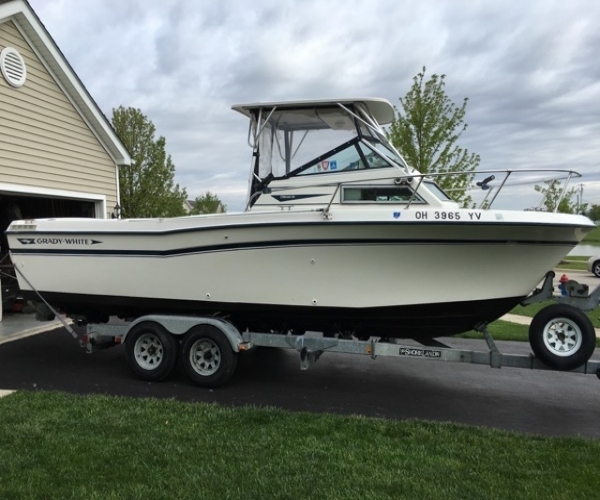 We kept the boat in the family after Dad passed in 2007. 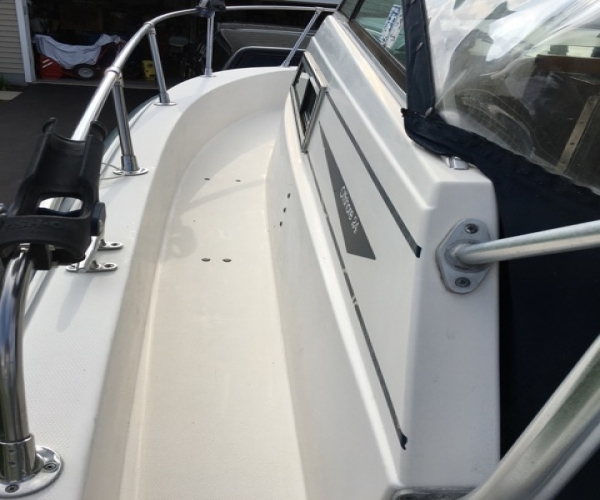 We decided it's time to allow you to enjoy this safe, well maintained, very good condition boat. It has only been used a few times the last 2 years. So it is being polished up ready for you. Will consider delivery at $0.44 per mile. This boat has NEVER been in SALT WATER!!! !